It’s our unique and industry leading weight loss and body toning program that's guaranteed to give you the results you're looking for. It will help you to burn more fat, get into shape faster, as well as give you the extra knowledge and support to fast forward your personal health and fitness goals. Apply to join our six week body transformation program where you'll lose 4-6 inches off your waist and between 12-24 pounds! We’ll plan your route to success with our total body transformation plan. Your Personal Trainer will support you throughout your journey; planning and making necessary changes to your personal program as you work towards your goal. Head over to the iOme Fitness Facebook page where you'll be able to mingle with your fellow Body SMARTer's, share recipes; learn about different aspects of fitness as well as ask your trainers health, fitness and nutrition questions. It's a complete tool kit to set you up for success in reaching your 6 week fitness goal. It’s a 6 week intensive course with two one hour sessions per week on a Monday and Wednesday or Tuesday and Thursday. Choose from either 6.30am - 7.30am (Tuesday and Thursday) or 6.30pm - 7.30pm or 7.30pm - 8.30pm (Monday and Wednesday) for your session times depending on what suits you. Your course costs only £199 and includes 12 personal training sessions plus a personal weekly nutrition consultation. For second to none personal training without paying hundreds of pounds, Body SMART is a completely new way to experience having your very own personal trainer who's there to motivate you all the way to your goal. What if I can't make it to a session? We understand that life can be very demanding and sometimes hectic. That's why at the beginning of your course we'll give you the opportunity to tell us if there are any dates that you won't be able to attend. If you don't know which dates you'll need off you can also book a number of sessions off at the start of your course. Either way, if you let us know, we can extend your course so that you'll be set to get your 12 sessions. If you ever need to skip a week that's fine too. We're really flexible and are here to make Body SMART work for you. 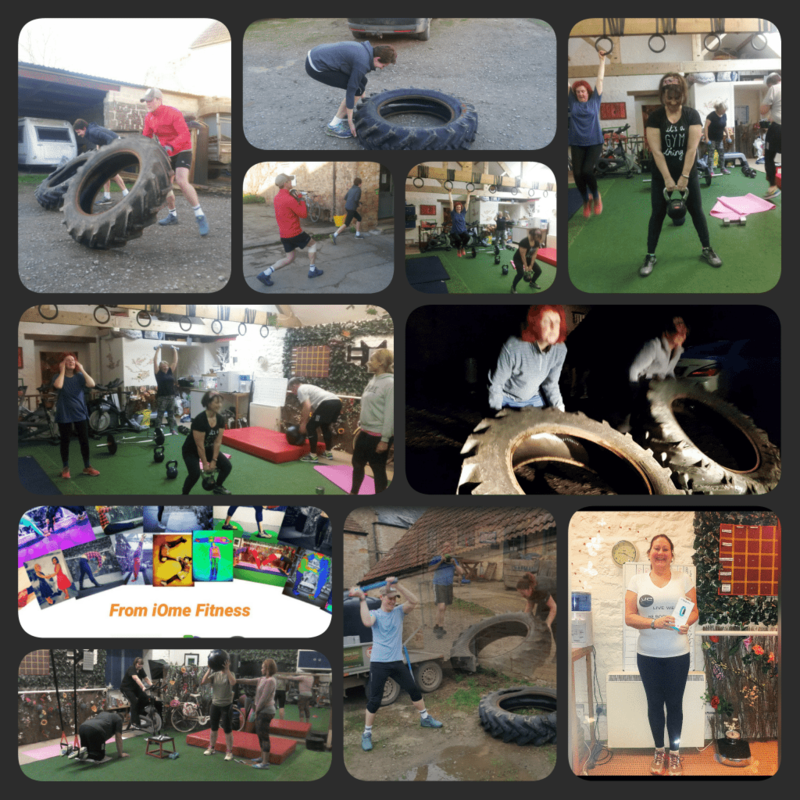 Our course is capped at a maximum of 5 people so that we're able to offer you personal training and one to one attention during every session. I am really unfit. Will body SMART be right for me? Yes Absolutely! The great thing about body SMART is that you're personally trained during every session. You'll perform exercises based on your own fitness level and postural capabilities meaning that if you're just starting out in fitness then not only will you be in safe hands but we'll also keep you motivated too. What happens after I've completed my Body SMART course? Our courses are so successful and so much fun that over 90% of our Body SMARTer's stay with us for a total of 4 or more courses. During each course you'll be challenged more and more and taught new training protocols. Your confidence levels will go from strength to strength and before you know it you'll be achieving things that you never imagined you could! If you'd only like to stay with us for 6 weeks that's fine too. You'll have gathered lots of fitness knowledge, achieved a fantastic fitness goal and you'll leave feel energised, fitter and full of life! Get fresh ideas on how you can improve your physical ﬁtness program and well-being. Find out about what you can do to live better and feel good in your own skin. Check out diet plans, healthy food options and discussion groups that make it easier for you to eat right. Everything you need to make your home a haven that supports your efforts to stay healthy and ﬁt.